Tales from a tribble: Ambassador Michael Oren: "It's About The Future Survival Of The Jewish State"
Ambassador Michael Oren: "It's About The Future Survival Of The Jewish State"
On Sunday's [June 28, 2015] CNN's "Fareed Zakaria GPS" show, Fareed had the great former Israeli Ambassador to the United States, Michael Oren, as one of his guests. Fareed Zakaria had Michael Oren on to talk about American Israel relations in light of Michael Oren's blockbuster new book, "Ally: My Journey Across the American-Israeli Divide". Along with Michael Oren, Fareed Zakaria had on Martin Indyk, who was president Obama's special envoy of Israel-Palestinian negotiations. 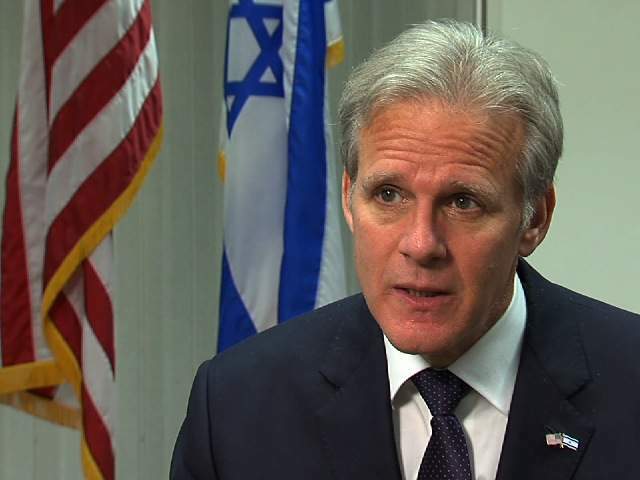 Ambassador Indyk was very contentious to Ambassador Oren's views, and in my opinion, disrespectful to Ambassador Oren as you will see in this video Indyk arrogantly shaking his head no to Ambassador Oren's heartfelt concern that the Iran nuclear deal "threatens the future survival of the Jewish state". Please turn up the volume and watch these important words by Michael Oren on this very bad Iran nuclear "deal". God Bless you, Michael Oren and God Bless Israel!